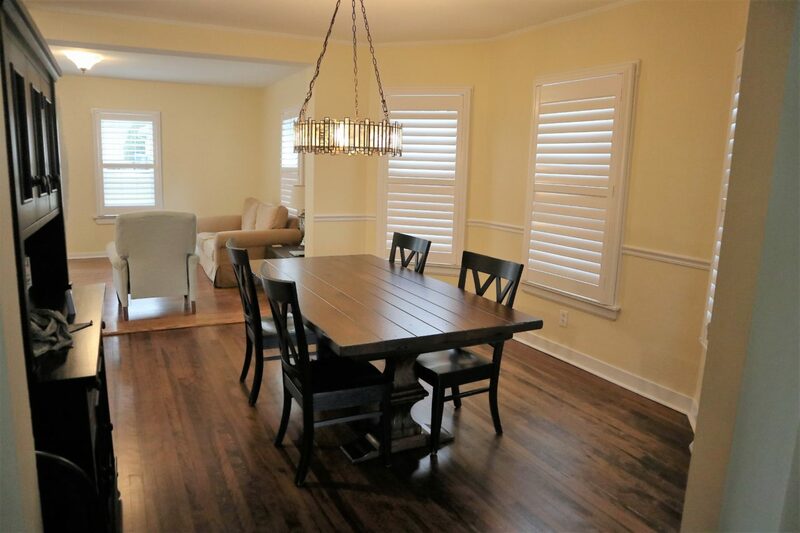 Located 20 miles west of Chicago, in the suburbs, Hinsdale, IL offers a small-town feel and close proximity to the city. Located in both Cook and DuPage counties, Hinsdale has a population of nearly 17,000 residents. Hinsdale is home to a train station with an express train that takes you directly to Chicago, making it an ideal choice for commuters. With a gorgeous downtown that houses a variety of local shops and restaurants, Hinsdale is a great home for families, as well as small business owners. The area also boasts the Katherine Legge Memorial Park and Lodge, which offers 52 acres of land and can be sued for a variety of events. Hinsdale also has a number of other parks and recreations, including a public pool, tennis courts, a sledding hill, and a skatepark. Hinsdale hosts a variety of community events throughout the year, including: the Hinsdale Independence Day Celebration, At Home Hinsdale, Hinsdale Farmers Market, Hinsdale Fine Arts Festival, and the Christmas Walk. 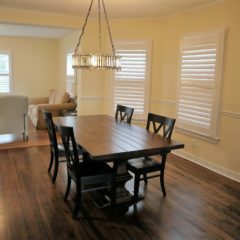 Rustic Elements Furniture is a Hinsdale furniture shop that is dedicated to offering the very best custom wood furniture available. Our shop is located in Joliet, and we’re proud to provide locals with handcrafted, one-of-a-kind pieces that will last for years to come. 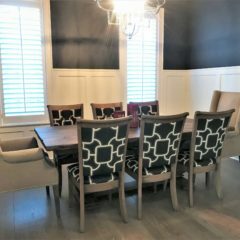 We use only the best wood available, and our furniture can stand up to nail polish, bleach, and other household chemicals and spills. 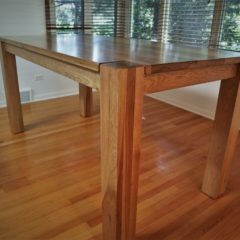 Our tables are also resistant to dents and scratches. 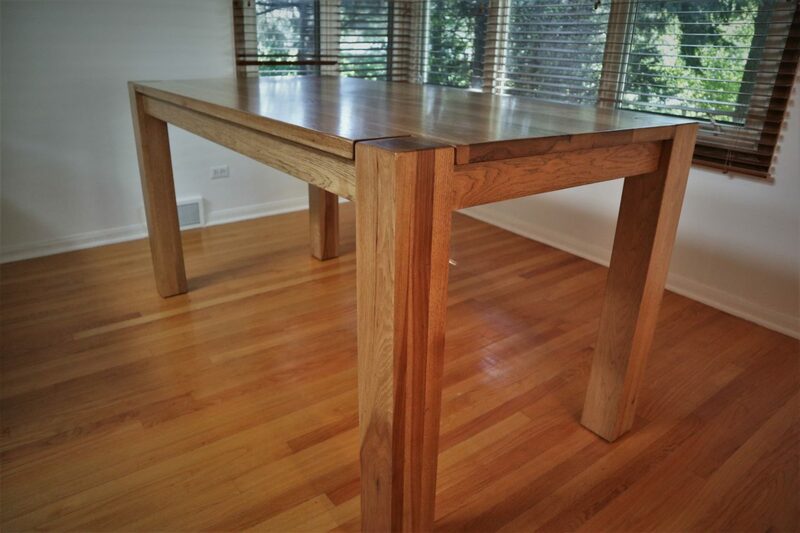 No matter the type of piece you need created, our woodworkers can build it to your exact dimensions and style. 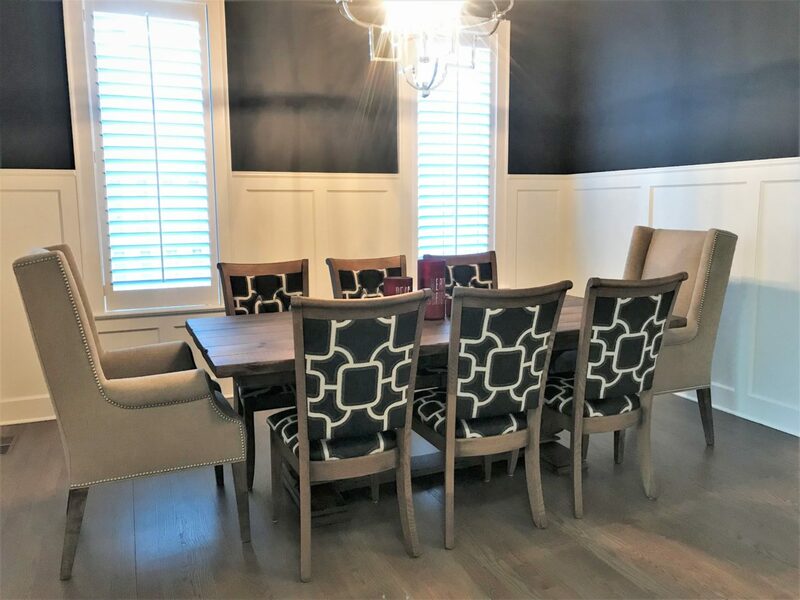 We offer a wide variety of custom wood furniture, including custom dining tables, media centers, storage pieces, benches, and office furniture. If you don’t have time to wait for us to build a custom piece, browse our current inventory of pieces that are available for immediate purchase. Live in the Hinsdale area? Feel free to shop by our showroom to see examples of our work in person and speak with our owner, Scott, about what you’re looking for. Contact Rustic Elements today to start planning your custom media center, table, bench, or desk!